Share the post "How To Create A Perfectly Organised Home Office"
Do you have a home office space? If you’re lucky it’s an entire room all to yourself, or it might be a little nook or even just your laptop on the sofa?! I think that whatever it is, if you are working from home, full time or just occasionally, it is important to have a well-organised work-space. I currently have a desk in a room that I share with toys as it doubles as a playroom, and the guinea pigs also live there. I am yearning to take over the whole space and have visions of creating a beautiful home office area, with a clutter-free desk and all of my stationery perfectly organised. 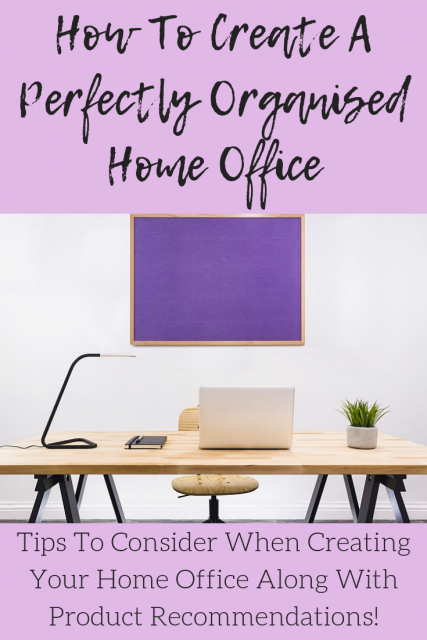 As such, whilst I wait for the kids to remove their belongings from my domain, I am putting plans into place and sharing a few tips on how to create a perfectly organised home office. Wherever possible, go for the biggest desk that you can, that is my mantra! You are never going to complain that you have too much space to work in, are you? This will also help you to ensure that your desk is clutter-free as you are then likely to be more productive. 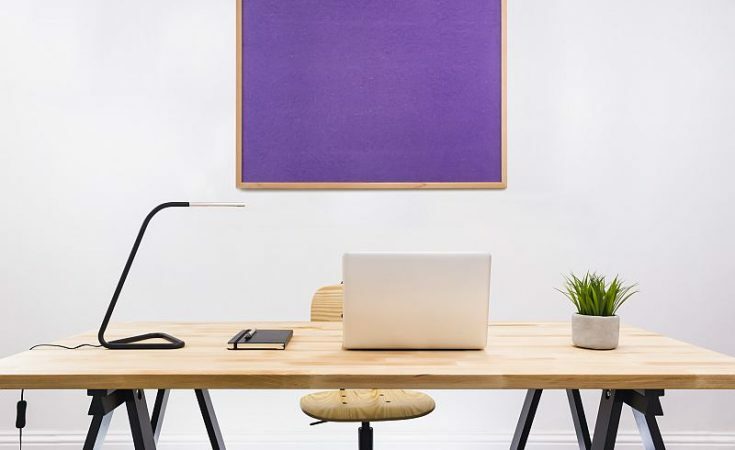 In order to reach the clutter-free desk stage, you might need to have a clear-out. It is worth putting a day aside to go through everything you have and be brutal! Do you really need it? If not, bin it or pass it on. If you do, then organise it into piles so that when you move onto the next step, you can ensure that everything has its place. Storage is essential to keeping things organised in your office area. Whether it be shelving, drawers, cupboards, boxes or baskets, it is all going to make a big difference. 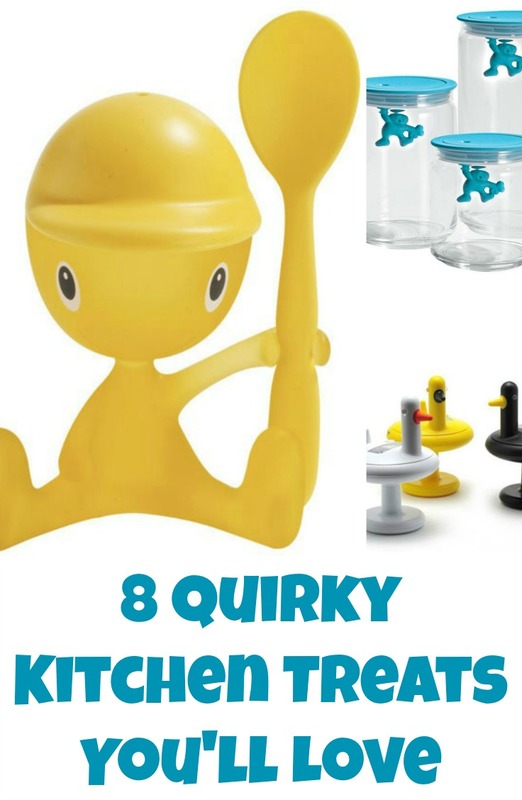 The key is grouping items together so that you can find everything that you need quickly. With shelving systems, consider exactly how you will want to use them before buying. What do you need to store on them? Will you use boxes on shelves, or place your stationery and files directly onto them? Do you like having everything on display, or would you rather have a sleeker look with everything ‘put away’? If it’s the latter than boxes and baskets on shelves are likely to work better for you, or you may opt for a cupboard where you can keep it all behind close doors. If you are going for drawers, it is worth opting for shallow drawers where possible, something like these. This is so that the drawers can all be organised within, without you having to rummage around in them and dig deep to find anything. Storage can make or break your organised office so it is worth spending time thinking about what will work best for you. If your walls are currently not utilised, then this is a really useful change to make. 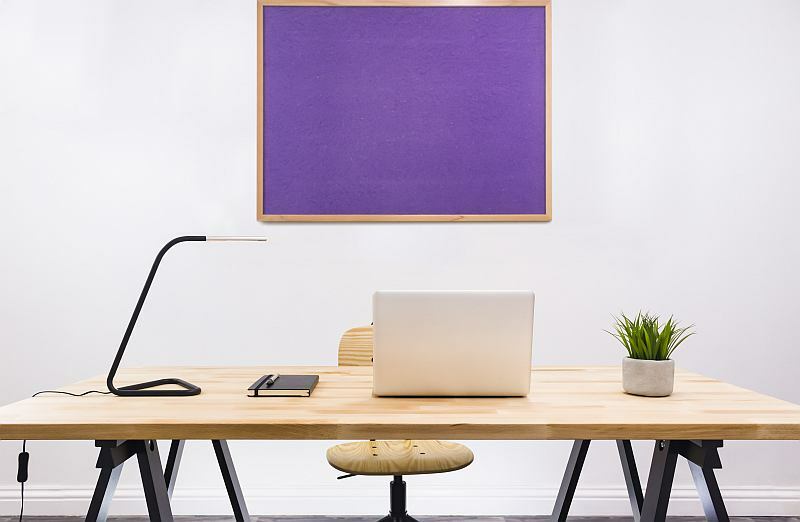 A wall space notice board can keep important documents and messages to hand and on view, allowing them to keep your focus. Something like these fire resistant notice boards are perfect as they are not only pretty, but practical and safe as well, so safe that they have been approved for use in schools so you know that they must be good. Your days or weeks can be mapped out and seen at a glance on a notice board like this, and then you can add in one or two motivational prints to keep you on track. 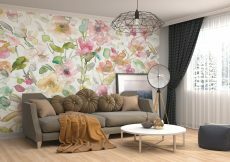 Hanging File for your Wall – Using that wall space again, such a handy thing to have. Expanding File Folder – This can have so many uses, every office needs one! Desktop Organiser – This can hold everything that you need for your desk and all in one place. Shredder – If you are downing in paper, these can come in handy. Cable Tidy Clips – Keep things all neat and tidy on your desk. Label Maker – This can be a thing of dreams to the organised! Dot Grid A5 Notebook – Because every organised office needs a bullet journal. And finally, remember that minimal can be welcoming. Minimal can often be considered to be cold, stark and empty. Maybe it is for some. But for me, minimal means organised with everything in its place and only the things that are really necessary out and at hand. Which I think is where the ‘welcoming’ part comes in, because a work-space that is welcoming, inviting and comfortable to work in is completely necessary. If you’re like me and work from home all day, you want your office to be practical and pretty, right? A desk with all stationery at hand and a few pretty items to lift your mood can still be minimal. I’d suggest things like a pot plant, flowers, an ornament or quirky stationery. Not loads, you don’t want it to become clutter and distracting, just choose two to three things to brighten your desk and lift your mood. I often like to work with a favourite candle burning and it makes me feel happier as I work. What would be in your perfectly organised home office? Do tell me if you have discovered some fabulous storage and organising solutions – I want to hear all about them!